The Congregation of Sisters Servants of Mary Immaculate was founded on the Feast of the Dormition of the Mother God, August 27, 1882 , in the village of Zhuzhyl , Western Ukraine , where Father Cyril Seletsky was Pastor. The Co-foundress and first member of the Community, Michaelina Hordashevska – Sister Josaphata, was initiated into religious life at the Novitiate of the Felician Sisters in Lviv , Ukraine. Just ten years later after its founding, responding to the request of Metropolitan Andrew Sheptytsky, who feared for the spiritual safety of his people overseas, Sister Josaphata, co-foundress, missioned four Sisters to Canada. One of the original members of the Community, Sister Athanasia Melnyk, came to Canada in 1905 as a missionary. Sisters Ambrosia Lenkewich, Taida Wrublewsky, Isidore Shypowsky and Emilia Klapowchuk arrived in Edmonton with the Basilian Fathers on November 1, 1902. The following day the missionaries from Ukraine were welcomed joyfully by their people. The youth greeted them with recitations and songs of their own compositions, expressing their love and hope for the future. Seven months later, in May of 1903, the first and youngest missionary, Sister Taida dies. The three Sisters were transferred to the Basilian homestead at Beaver Lake (later named Mundare). When they arrived at Beaver Lake on July 11, their home was still under construction. The settlers were overjoyed that “Their sisters” would be living in their midst and pioneering with them. They brought the Sisters food and other necessities. The Sisters entered into the homestead experience wholeheartedly. They plastered their home and other buildings on the homestead. They cleared the brush for a garden and helped with farm chores. They prepared meals for the volunteers who helped with the construction and farm work. On Sunday and holy days the Sisters taught the children catechism and singing after the Divine Liturgy. When the priest was away at another colony, they conducted prayer services for the settlers. Just over a month after their arrival to the homestead, on August 14, the Sisters welcomed their first Canadian candidate, Maria Letawsky from Lamont. By 1920 the Sisters had founded two missions in Alberta: Mundare and Edmonton. Aware of the pioneers’ desire to educate their children, the Sisters opened schools at each of their missions. The Sisters taught religion and Ukrainian language after school hours and during the weekend. During the summer holidays they taught hundreds of children catechism in rural areas. Their students took an active part in the life of the parish. They sang the liturgical celebrations. They joined church organizations such as Sodality, Children of Mary or Altar Boys societies. The Sisters prepared as many as five concerts annually, sewing the costumes and painting the backdrops. The entire parish looked forward to the program of recitations, songs, drills and dramas. At each mission the Sisters cared for the orphans, bearing the entire cost of raising and educating them. They also provided room and board to children from rural areas, enabling them to get a better education. The Sisters travelled many miles to care for sick, using homemade remedies, and the sick often came to the convents for healing. During the influenza epidemic of 1918, their boarding school at Mundare was converted temporarily to a hospital. In 1928 they built their first hospital in Mundare. The Sisters cared for the churches, cleaning and decorating them and providing them with linens, altar bread and all other liturgical needs. They made flowers which were used to decorate the sanctuaries for festive occasions. They were also serving as cantors and organized choirs and directed church organizations for adults such as the Apostleship of Prayer. Whenever possible they distributed religious literature. Besides these works and the frequent soliciting of donations to maintain their institutions, the Sisters did their own domestic work such as planting large gardens and doing farm chores in their rural missions. They provided domestic services at the Basilian novitiate/scholasticate at Mundare. The pioneer Sisters left a precious legacy to the Congregation, their Church and people: the example of dedication, self-sacrifice and deep faith in God. They were faithful to the founding spirit of the Congregation, serving where the need was the greatest and passed this spirit on to the succeeding generations of members. Their main concern was that their people would not perish in Canada. 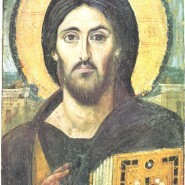 They did everything that was possible to preserve and enrich their religious and cultural heritage. Today the Sisters continue to respond to the most urgent needs of their people, adapting to changing needs and circumstances. They conduct the Eparchial Religious Education Center in Edmonton . They care for the sick in hospitals, do pastoral ministry, conduct retreats, Bible Studies, Baptism preparations, missions for adults, organize youth programs, write programs, provide domestic services at the Bishop’s residence. Religious Education Center where Sisters organize and prepare programs for children, youth and adults of the Eparchy. Teach catechism at the parish, preparing children and their parents for the Sacraments of Confession and Holy Eucharist. Instruct laity to teach catechism. Give spiritual direction to the members of the UCWLC. Visit the sick at hospitals and in their homes, and help the needy. Take care of the church. Provide domestic service at the Bishop’s residence. Travel to parishes where there is no resident priest, teaching catechism to children, youth and adults, familiarizing them with the Eastern Rite and culture. 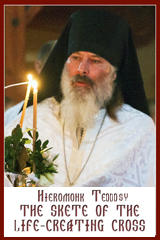 Cantoring, lead in Services, like Divine Liturgy, Molebens, Vespers and funerals, etc. Conduct Associates of the SSMI’s, meeting monthly with the members for prayer and instructions. The apostolate in this home centers on Parish work, and pastoral visits. A Sister conducts a daily pre-school Ukrainian language program, as well as the Children of Mary. During the summer, Sisters teach catechism at the various outlying parishes, and children’s camps. They also care for the church building. Sisters serve in both parishes, adapting their mission to meet the needs of their people: teaching Ukrainian language and religion, conducting young adults choir, teaching and leading liturgical singing, visiting the sick in hospitals and homes, bring Holy Communion to those unable to attend the Divine Liturgy. During summer, teach at the various rural parishes. Care for the church. Give spiritual guidance to the UCWLC members, and instruct the adults in scriptural reading and prayers. This home is for elderly and ailing Sisters. This home is a “house of prayer”; and those who are able spend time on the telephone giving good counsel and supporting the needy. Sisters ministed to health care needs of predominantly Ukrainian community, visiting the sick and elderly Sisters and people of the vicinity until 2005 when they gave it over to the Catholic Health Corporation of Alberta. The Sisters were involved in parish work, teaching catechism, preparing children for First Holy Communion, visiting the sick and elderly in their homes, and sowing liturgical vestments. Sisters managed the hospital, often having a great influence on the religious life of their patients. They visited the sick at other hospitals. Helped the needy and neglected. Took care of the elderly and ailing Sisters. The hospital was closed in 1998 as part of the provincial government cut backs.